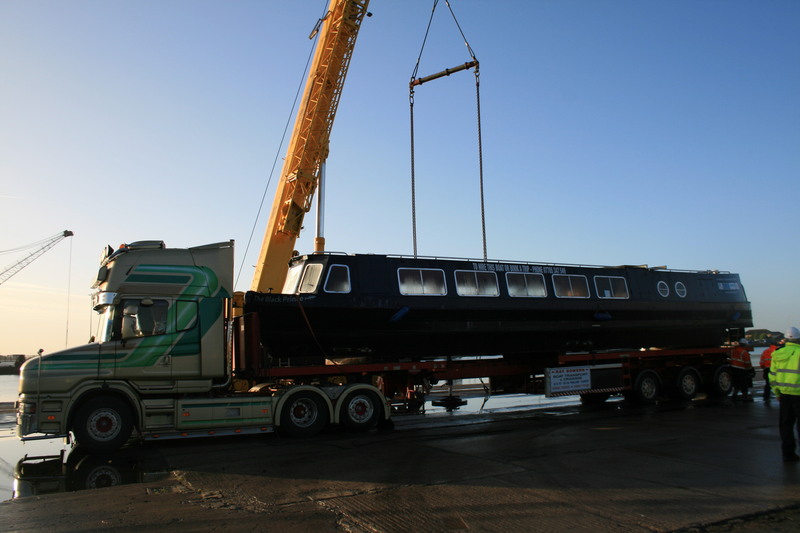 In 2000, the boat was constructed by Colecraft as a Class “V” Category “A” passenger-carrying vessel, to operate on the restricted inland waterways in and around Hebden bridge in Yorkshire. At that time, she was named “Verdopolis”. 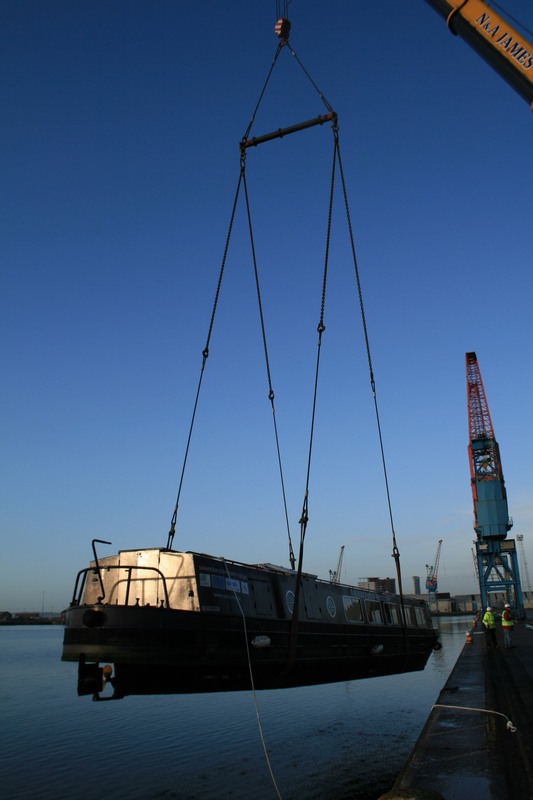 In 2008, the vessel was upgraded to a Class “V” Category “B” for use on larger and deeper rivers. The boat was renamed “The Black Prince”, and operated for the following two years in and around the Leeds waterways including the Aire and Calder navigation and Leeds Liverpool canal. 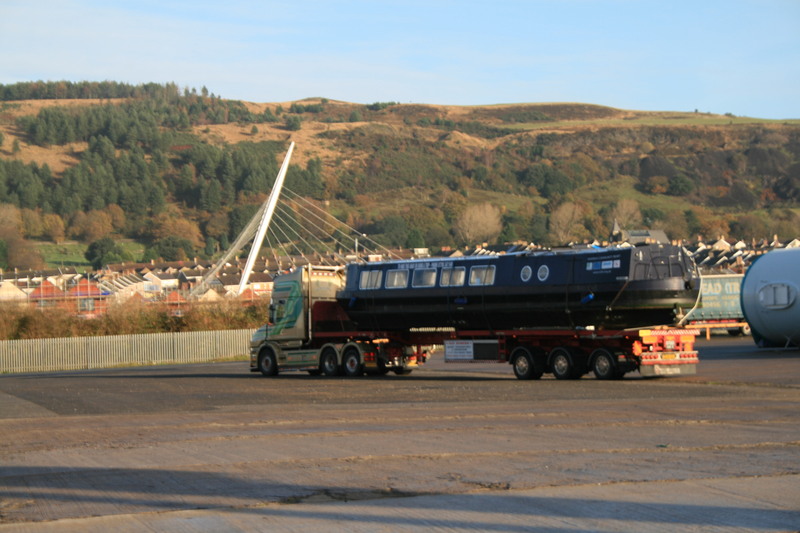 In 2010, Swansea Community Boat Trust took ownership of the Black Prince and she was transported by road to arrive in Swansea in December 2010.
narrow boat. Constructed of mild steel plate welded to the hull, deck and superstructure with a flat bottom. The main saloon is fitted with high cushioned seating across the front and down both sides for some 10+ metres, which together with free seating can accommodate 50 passengers. To the rear of the saloon, are the two main entrances (one fitted with a wheelchair scissor lift), a U-shaped bar, two toilet compartments and small galley. Both port and starboard cabin sides have large slide-opening windows, which together with full-width bow windows provide panoramic views whilst traveling. The engine room houses a four-cylinder water-cooled Beta Marine diesel engine (BF2802), producing 62hp as 2600rpm. This drives a single screw propeller via an RPM 260 D2 hydraulic gearbox. Between 2011 and 2013, the Black Prince had carried nearly 10,000 passengers along the ever changing Tawe river trip experience. With ever increasing maintenance being required, and with the flat-bottomed design resulting in many sailing being cancelled, SCBT took the decision to sell the Black Prince and commission a new boat to be built.